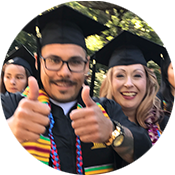 Gavilan College's Behavior Intervention Team (BIT) provides proactive assessment and intervention to individuals who are exhibiting concerning behaviors, to both support students and assist faculty and staff. Receives information about students of concern and discuss concerning behaviors. Provides consultation, support, and responds to faculty and staff. Intervenes and connects students with resources and when necessary, determines other courses of action to address concerns. Coordinates follow-up, ensuring that services and resources are provided in a timely and effective manner. Maintains confidentiality and handles all matters discreetly and tactfully. The BIT process does not replace faculty classroom management, disciplinary processes, and/or College Security response/procedures to incidents. Who Are the Members of the BIT? 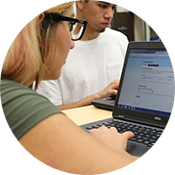 Individuals are encouraged to become familiar with Gavilan College’s Red Folder: Assisting the Emotionally Distressed Student. At any time there is a safety concern, do not hesitate to call Gavilan Security at 408-710-7490. Go to the Incident Reporting Form. For assistance, please contact Grace Cardinalli at 408-848-4738.